Friends, we have only 1 DAY remaining to reach our Kickstarter goal for Windrose issue 2. Kickstarter is an all-or-nothing fundraising platform, which means if we don’t reach our fundraising goal by Saturday, it's a no-go (womp, womp). But with your help, we can make issue 2 a reality! Please consider supporting our Kickstarter by pre-ordering your copy of Windrose issue 2 or checking out our other reward tiers. Below is a video that our generous and talented friend Marisa at ris boras creative shot for us. In it, Design Director Aggie Tutia and I explain more about Windrose and why we need your help. We can't wait for issue 2 to go to print, but we need your help to make that a reality! 2. Spread the word to friends or family who would enjoy Windrose by sharing on your socials. You can also share our video on Facebook! 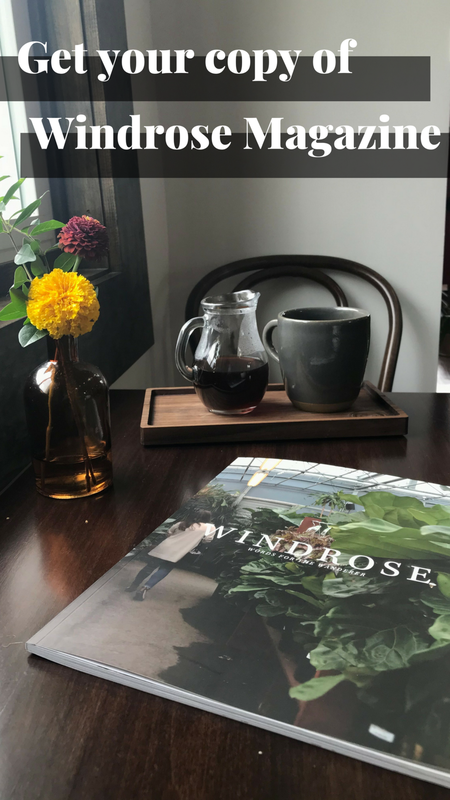 Windrose Magazine is a collection of essays that echoes this one simple truth: you are not alone as you navigate life in your twenties. "How Corporate Killed My Creativity And How I Got It Back"
I'm especially excited to share with you an interview with author Hannah Brencher on life in your twenties and what it means to matter. I've admired her work for several years now, so I'm so grateful that she took time out of her day to talk with me and share her wisdom. I think it's totally wild that so many of you have supported Windrose Magazine! It's been so cool to be a part of this: to bring together talented peers from all over the world to create this magazine and then seeing so many of you offer your support of it. I wish that I could hug each and every one of you (which is saying a lot, because back in the olden days, I used to hate hugs). We have 3 days to go and 4o% more to raise, but with your help, we can make this next issue a reality. Please consider joining the 60+ others in supporting our Kickstarter by pre-ordering your copy of issue 2 or making another pledge from one of our reward tiers. Thank you so much from all of us on the Windrose team!